The Heroes of Olympus. . HD Wallpaper and background images in the The Heroes of Olympus club tagged: photo heroes of olympus heroes of olympus collage the seven percy annabeth jason piper hazel frank leo nico. 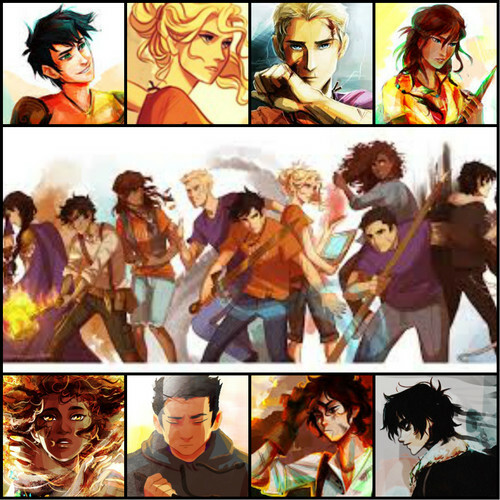 This The Heroes of Olympus photo contains anime, grappig boek, manga, cartoon, and stripboek. There might also be glas in lood raam and glasraam. VIRIA i love her art! Love the art... My new screen saver! Viria is awsome. Have you seen leo sleeping on his desk? LOVE that one!